Fenton’s current job is working as Gyro Gearloose’s intern in Gyro’s underwater lab which is located under Scrooge McDuck’s Money Bin. Gyro gives Fenton his own private laboratory where he can think which is all Fenton does all the time. Where do most geniuses do their best thinking? The Bathroom. Dr. Emmett Brown invented one of the greatest inventions of our time, the flux capacitor, which is what makes time travel possible, while in his bathroom. Fenton’s laboratory is indeed located in a bathroom in Gyro’s underwater lab. Gyro Gearloose said this is the perfect place for Fenton’s work which may not be entirely complementary. Fenton’s lab has a closed in area that we will call a stall where the door can be closed and locked for private meetings. The main office area of his lab is equipped with a mirror, sink, soap dispenser, urinal, file cabinet, and a plant which brings a living/breathing decoration to the office. The extra oxygen in the air from the plant helps fuel Fenton’s brain for his gizmo inventions. Let’s take a look inside the stall where the magic happens. Fenton has his own throne in his laboratory, but there is no where for anyone else to sit when he has guests over. Above his porcelain throne he has a Newton’s cradle device (aka Newton’s balls). The device is made up of a series of identical sized metal balls suspended in a metal frame. The balls swing back and forth in an almost hypnotic motion. Executives often have Newton’s cradle on their desks for relaxation. Fenton’s laboratory walls are adorn with blueprints. You may notice some blueprints from some of Gyro’s inventions such as a robot suit. Some of these top secret blueprints can also be found on message boards on the internet. There is a baby changing table on one of his walls that can be conveniently pulled down to provide Fenton with a table to make a desk. I wouldn’t change an actual baby on this table as it is in close proximity of the toilet…ugh throne. Along with the blueprints, Fenton has some files stored in folders and binders. One such binder is full of plans for all of Fenton’s invention gizmos. Fenton loves gizmos. You may say that he is a GizmoDuck. Thank you for visiting Fenton Crackshell-Cabrera’s Laboratory. I hope you enjoyed this tour. Blathering Blatherskite! Previous Update On Upcoming “Life & Times” Release! 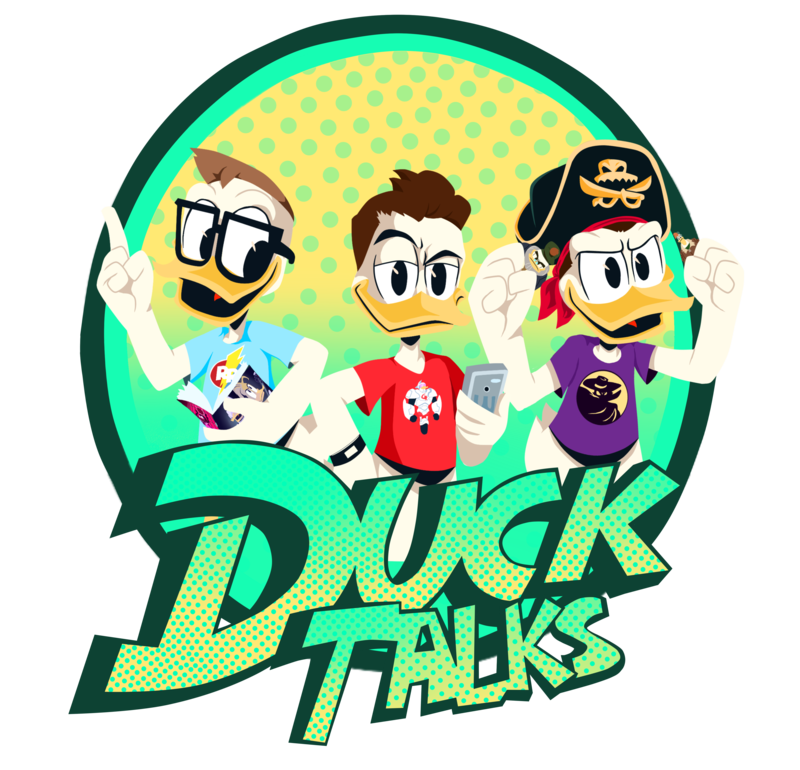 Next DuckTalks Episode #028 – DuckTalks Versus The Wrong Title!